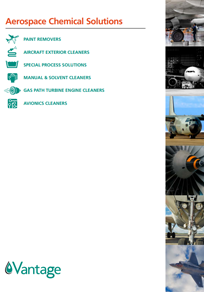 Eliminate trial & error with Vantage aerospace specialty cleaners. 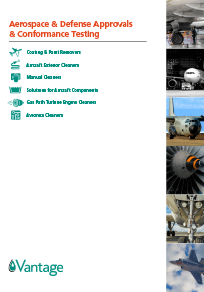 With the most complete range of approved aerospace cleaning products on the market, Vantage (formerly Petroferm) offers sophisticated solutions to meet the exacting standards and critical requirements of the aerospace/defense industry. From an assortment of high-performance manual cleaning and surface preparation formulas to qualified MIL-PRF 680 solvents, Vantage cleaning products fit your purpose with precision. 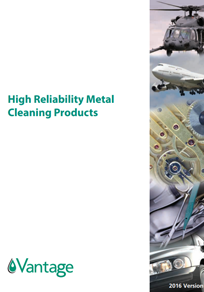 Find your most compatible aerospace cleaning solution.